Looking for a dealership near you? 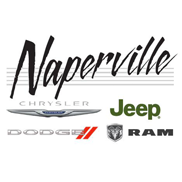 Naperville Chrysler Jeep Dodge RAM is a proud Chrysler, Jeep, Dodge and RAM dealership located right in Naperville, IL. We have a wide selection of new cars for sales such as the 2018 Jeep Grand Cherokee, 2018 Cherokee, 2018 Compass, as well as popular vehicles in our 2017 lineup such as the 2017 Dodge Grand Caravan, the 2017 Chrysler Pacifica and more. Our team is ready and looking forward to helping you find your next new or pre-owned vehicle!